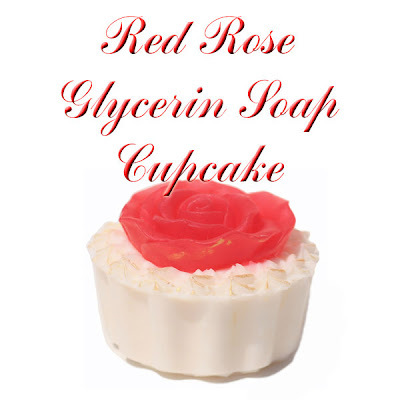 To all of you that were waiting for my glycerin soap cupcake it's here! Gorgeous red rose on top of a white cupcake lightly touched up with gold mica to show all the amazing detail. Each glycerin soap cupcake comes in a decorative cupcake wrapper inside a clear box. It's ready for gift giving. Buy one for a teacher, a friend, a birthday gift, or get one for your favorite mom. It's scented with a rose fragrance of course.